Lieutenant Commander Matthew Reddy, along with the men and women of the USS Walker, have chosen sides in a war not of their making. They have allied with the Lemurians - a mammalian race whose peaceful existence is under attack from the warlike, reptilian Grik. The Lemurians are vastly outnumbered and ignorant of warfare, and even the guns and technology of Walker cannot turn the tide of battle. Luckily, they are not alone. Reddy finally finds Mahan, the other destroyer that passed through the rift. Together, the two American ships will teach the Lemurians to fight and stand against the bloodthirsty Grik - or so they think. For there is another vessel that does not belong on these strange seas - the massive Japanese battle cruiser Amagi, the very ship that Walker was fleeing from when the rift took them. Like Mahan, it followed them through. And now Amagi is in the hands of the Grik. Battle stations! Listen to more in the Destroyermen series. When I looked at reviews of this book 95% were from guys and rated very high, so I got them for my husband and he loved them as well. When I got around to giving these a try I was not dissappointed. Initially (while in our dimension) they were a little heavy on the military jargon, but once I got past that and they got through the squall, it was great. There is a lot of fighting, but this book wasn't just "guns ablazin'" over MY head military mumbo jumbo I didn't get. I could not wait to find out what happened next. I'm on #3 now and still into it. At first I passed over this book series, because the plot did not catch my interest: Old Destroyer even by WWII standards, Alternate world, primitive people/monkeys ----- BUT I was wrong! This book and its narrator turned out to be very exciting and a page turner in a audible way. Obviously, I enjoyed both books so far in this series, but I thought this one was better than the first. Maybe it's just because characters grow on you. Looking forward to the next book! I don't generally listen to many books in a series since I generally find that the characters and story don't stay fresh enough to last through all of the sequels. 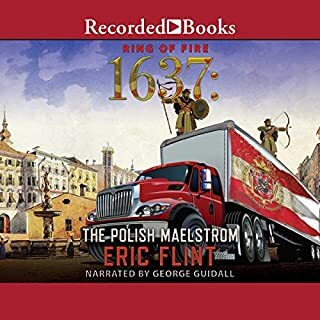 I have listened to perhaps 4 of the Sharp books, 2 of the Lost Regiment (which this resembles to an extraordinary degree), 2 of the Lost Fleet and only the first of a lot of other series. I had not expected this to be any different, but was very pleasantly surprised. The story of the Captain and crew of the USS Walker is alive and full of both interesting humans and Lemurians, all people about whom I have started to care. The story stays interesting and I have found that I care about their fate. This is an astonishingly good series and book and is, in my view, well worth is high star rating. I have begun to think that I will end up buying all of the books of this series because I want to know what is going to happen and this has only happened for me in one other series (The Saga Of The Seven Seas). Great space opera here on Earth (or at least a variation thereof...). I found book one in the Destroyermen series to be fun and entertaining, if a bit flat and cheesy, style-wise. Book two, though, actually had me wanting to stand up and cheer. Not that it's any less flat and cheesy, but there are some quintessential qualities that Taylor Anderson brings to this series that I've been missing in sci-fi and military fiction lately. Duty, honor, bravery, sacrifice, and heroism. Men acting like men. (Yes, the women - both human and Lemurian - are pretty brave too.) A war that feels like a war. This book is very similar to an old WWII movie - the ones made before we got cynical and stopped presenting Americans as the good guys. The USS Walker and its sister ship the USS Mahan have allied with the Lemurians, a civilized race descended from lemurs in the alternate Earth in which the two destroyers find themselves. They face the Grik, an almost mindlessly violent race descended from reptiles or dinosaurs. In Crusade, we learn that the Japanese battleship Amagi, which chased the two American destroyers into the storm that brought it to this world, followed them, and is now allied with the Grik. This makes the two sides pretty starkly black and white: Americans and friendly lemur-people vs. Japanese and evil crocodile-people. But, the Americans and Lemurians are not universally good, and the Japanese are not universally evil. There is in-fighting among the various land-dwelling and sea-going tribes of Lemurians, some of the Americans get themselves into trouble with bad behavior, while in addition to Lieutenant Shinya, the captured Japanese officer who has now become effectively a part of the Walker's crew, Anderson also writes some scenes from the point of view of the Amagi's crew, and specifically, its unfortunate executive officer. The Japanese are Imperial Japanese. They have a duty, and an enemy. But while their captain is evidently going mad, the rest of the crew is starting to have doubts about whether they'd really rather be allied to cannibalistic lizard men than Americans. 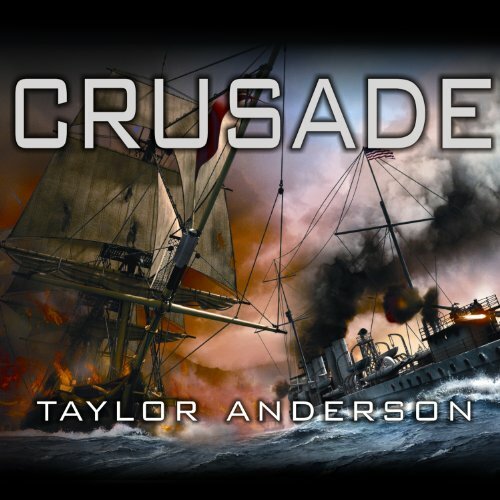 Crusade is a series of battles, political alliances, and chases, with the tension ramping up as they discover that the Grik are invading the home of the Lemurians in a massive swarm, and worse, accompanied by a Japanese battlecruiser. The climax, in which the Walker faces a vastly more powerful ship it can't possibly defeat, is worthy of the most rocking naval adventure. 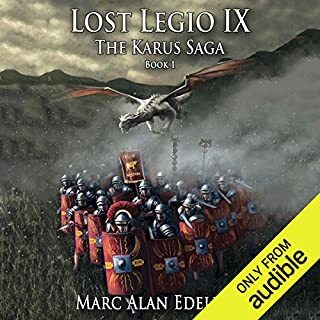 As they are trying to evacuate thousands of Lemurians in the face of the Grik invasion, and no matter what they do, they must cope with the inevitable losses of thousands more, the tragedy and heroism of both humans and Lemurians is rousing, inspiring, a real edge-of-your-seat adventure. Removed from the geopolitical considerations of Earth, the Americans in this world are a little pocket of America all their own, and it's what they make of it. And so far, they are what you'd expect from a red-blooded US Navy crew - sailors, heroes, not untarnished with the occasional scoundrel, but good men worthy of respect and admiration without the author doing a lot of jingoistic chest-beating. The technical details all seem to be authentic and well-researched, from the advantages and disadvantages of the two American "four-stackers" vs. the huge, ultra-modern Amagi (which is struggling with damage of its own and the difficulties of getting repairs and fuel from its Grik "allies") to the aerial duel between a salvaged seaplane and a Japanese spotting biplane, to problems with American torpedoes. Throw sailing ships and the Lemurians' giant seagoing "homes" into the mix, and you've got a blend of Horatio Hornblower, Battlestar Galactica, and Midway. I'm giving this book 5 stars because it was exciting all the way through, and I was worried about the heroes at every step of the way - when the Amagi shows up, you really feel the moment when Captain Reddy realizes how badly they are screwed. 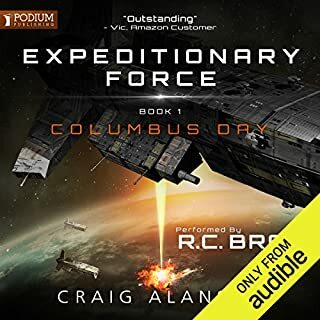 This book improved the last by adding depth to Lemurian culture (including more, ah, relations between humans and Lemurians - some good, some very much not), and even a little bit to the Grik, although so far they're still pretty much just a mindless horde of barely sentient monsters led by evil overlords. It's not literary, it's just the modern version of a pulp adventure, but I just loved it, even if I am looking at the length of the series (9 books and counting now?) and reviews of later books in the series that seem to indicate that the author is no hurry to wrap it up. There is no reason to painfully slog through War and Peace when you can read Destroyermen: Crusade, instead. All the great themes are here: good and evil, love and hate, honor and treachery. You don't have to remember all those dreadful Russian names. Also, this is much more fun to read. I'm anxiously awaiting the third book. Although many people swear by this series I will stop here. The author seems to slow things down by adding endless details and the plot just grinds to a halt. I looked at the number of books in this series and realized why. Usually I get to the third or forth book in a series before I feel this way. This series only took 2 books. I listened to the first one that was great. I started to lose interest in this one 3/4 the way through. If it was a 3 or 4 book series I would continue, but at 13 hours each, I realize that there are better books to use my monthly credits on. In summary, plan on a long voyage to make it through this series. Didn't Disappoint - On to Book 3! With the exception of one improvement the narrator makes in this book, all the glowing remarks I wrote in my review of book 1 applies here, as well. 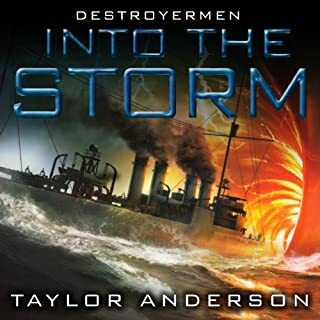 Taylor Anderson is back with his second book in his Destroyermen series. With book two Anderson seems to have worked out his "pace" problem from book one. He still gets a little too indepth with the battles and dialogue during the battles, which tends to weigh on the action sections, but he has improved dramatically from book one. He holds true to the plot line of alternate realities and does a fantastic job of filling out his "native" species that his Destroyermen must interact with. An improved book from book one and compelling all the same. 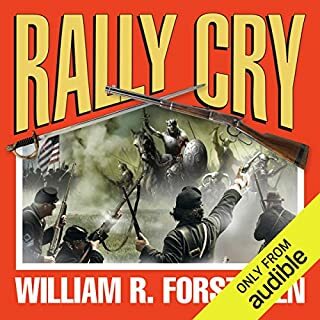 William Dufris hits his stride in book two and shows why he has as many books on Audible as he does. Gone is the slight hesitation and over emphesising during the battles and his character development via vocal performance is superb. He brings Anderson's creation to life and breathes the wind into the sails of imagination. Destroyermen Crusade is a great follow-up to book one, "Destroyermen". The plotting and characters of the alternate reality military actionaire are worth the time. The battles are convincing and the results of the battles have a heartbreaking yet lifting ring that strikes me as having been written by someone who understands war. Taylor Anderson has definitely hooked me into this series. I'm tempted to make the crack that the Americans not content with saving the world in every other modern work of fiction they produce have got bored and are now saving other ones too! Okay, totally unfair but these things make me smile. This is a series that has takes its time to draw the reader in. The characters and their motivations are well captured showing both their strengths and weaknesses, their nobility at times as well as their failings. All done without prejudice. The Gricks make a classic fantasy enemy and their unexpected alliance in this book is fascinating. I will be interested to see how fairly Anderson deals with this in the later novels. 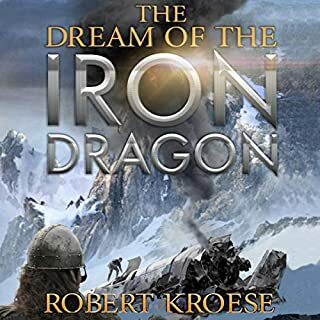 So, if you like a fantasy series with plenty of action, good characters that you can really get inside of and a strong storyline this series is for you. Well, it certainly is so far!